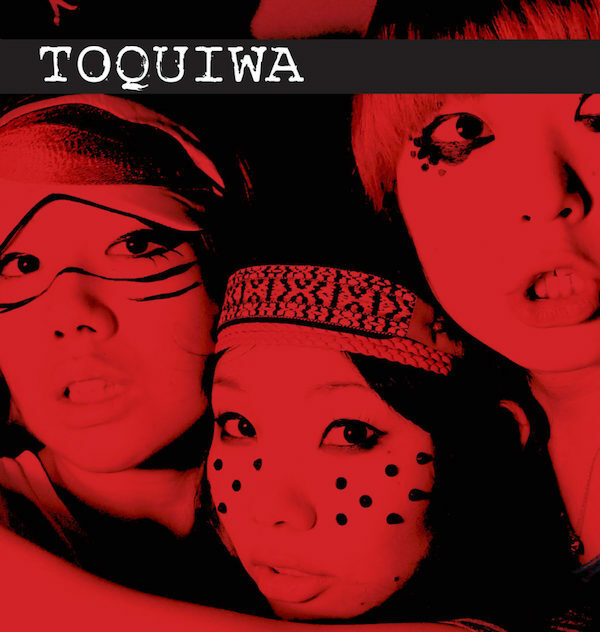 Feisty 3-piece outfit TOQUIWA have their eponymous new album now out, which also marks their debut release on the Scopitones label. Scopitones is the home label of UK post-punk band The Wedding Present and TOQUIWA will be joining David Gedge’s entourage as support for The Wedding Present’s forthcoming UK and European tour. The signing is quite significant as aside from The Wedding Present, TOQUIWA are the only other band on the label (and it looks like Scopitones won’t be opening up their roster for any other acts in the future). 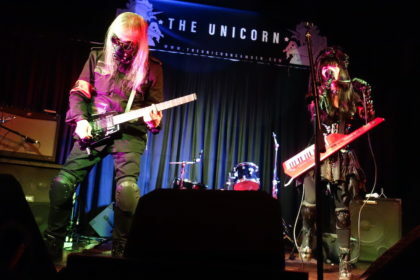 Although this marks TOQUIWA’s first album release, the band had already notched up a selection of releases under their previous incarnation as Pinky Piglets (as mentioned previously). 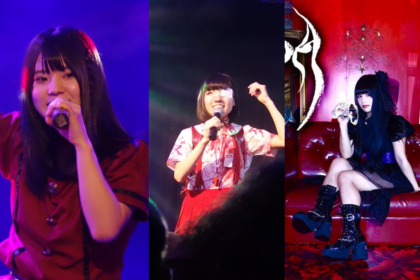 In fact energetic opener Tokyo Merry-Go-Round stems from their Pinky Piglet period. 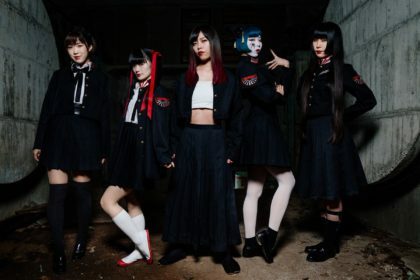 Erupting with discordant guitar and raw vocals, the song boasts an infectious chorus and is clearly going to be a live favourite. The album also opts for a stripped-down production style, which preserves the energy of the songs. 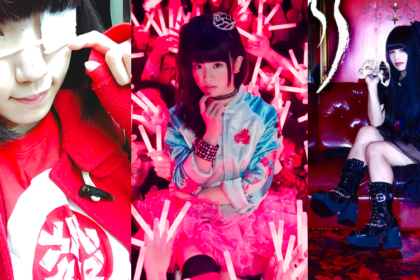 For a lot of bands, particularly with a glut of guitar bands emerging from the Japanese music scene lately, this approach would be a natural choice anyway but it helps if you have at least an element of music ability. But TOQUIWA manage to preserve that raw rock approach with an ear for melody and a talent for song construction. Take for instance the thought given to vocal presentation, particularly with a subtle use of harmonics on some tracks. ‘Roll The Dice’ and ‘U.S.O.’ for example make good use of this subtle vocal effect, while still being powerful rock songs. 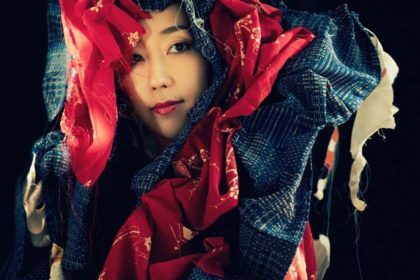 ‘Japanese Girl’ throws the first surprise into the mix with a more funky rhythm and treated vocals that give the song a nice melodic hook. It still retains that raw, stripped-down feel that dominates the album, but also shows the band are willing to experiment and try out different ideas. There’s a few touches like that on the album that manage to keep things interesting, such as the soaring vocal style on ‘To The Right, To The Left’. Or on ‘Brain Party’ which introduces electronic elements to the mix with a minimal synth keyboard line. Things get taken down a gear with acoustic guitar-led ballad ‘The Rain Song’, but it’s the closing tracks that perhaps showcase the finest TOQUIWA moments. ‘Give Me A Chocolate!’ is a perfect slice of pop-rock while closer ‘Kennedy’ shows the band covering The Wedding Present’s classic with confidence and charm. It’s a fine collection of songs that will serve up some wonderful live moments on the forthcoming Wedding Present support slot. 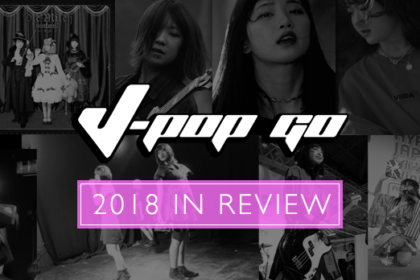 As an album, TOQUIWA probably isn’t going to change the face of the Japanese indie rock scene as we know it, but it’s a good start. TOQUIWA is out now on CD and download and available from Amazon and the usual record outlets.